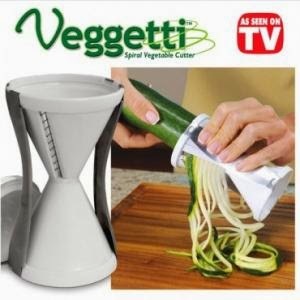 I was recently blessed to receive a Veggetti™ Spiral Vegetable Cutter in exchange for my opinion on the product. This cute little Veggetti™ Spiral Vegetable Cutter turns veggies into good-for-you spaghetti or fettuccine with just the twist of your wrists. My first comment to my husband, was how handy this will be to have on our sailboat, or camping. No need for huge equipment or electricity. 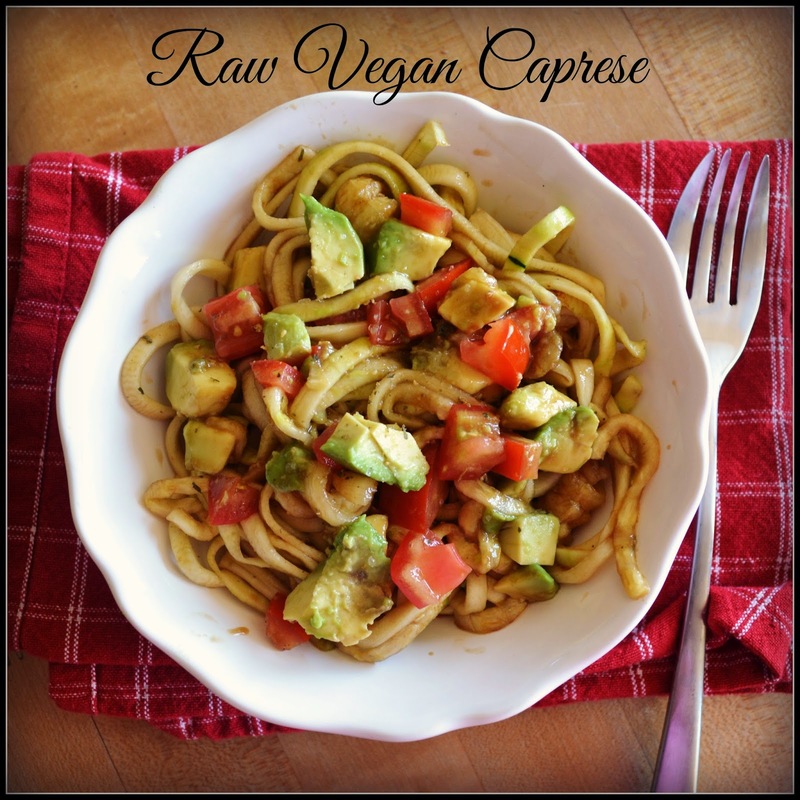 With just a few minutes I was able to have a large bowl of healthy raw veggie pasta. The Veggetti™ Spiral Vegetable Cutter is very easy to use, anyone can learn to use it quickly and safely. I recommend it! I had 3 people for lunch today, so I thought I would give this tool a whirl. My husband popped in from work to fill his tummy, and a friend stopped by to catch up on her lunch break. So I went to what was fresh and ready for eating. This took me 5 minutes to make and less time to gobble it up. We all loved it. Don't be afraid of healthy food! Make this! Peel your zucchini. Then place it in the thick side of your Veggetti™ Spiral Vegetable Cutter. Twist until all the zucchini is used. 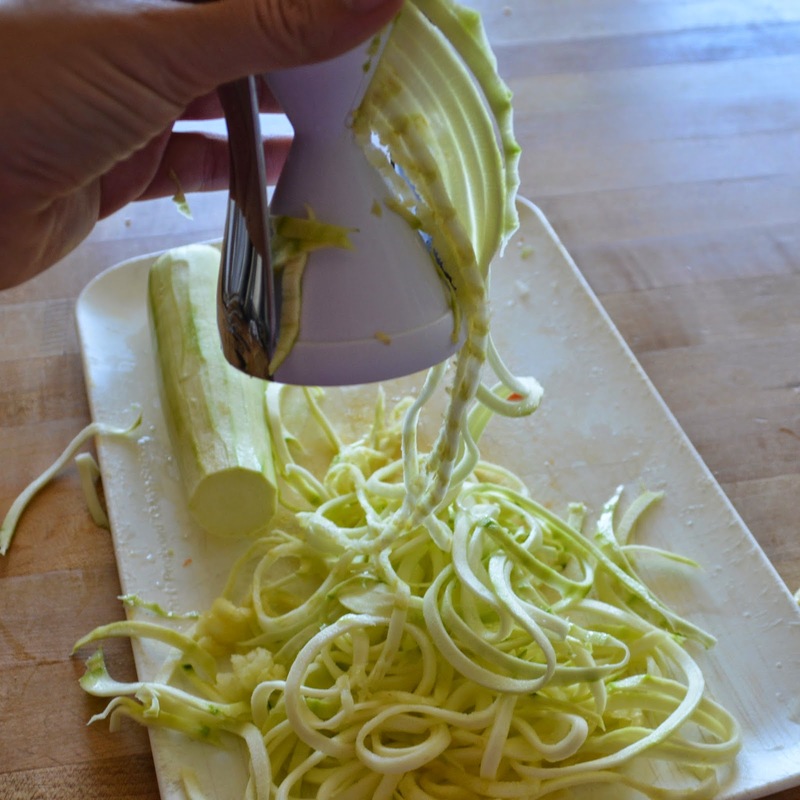 Place zucchini noodles in a large bowl. 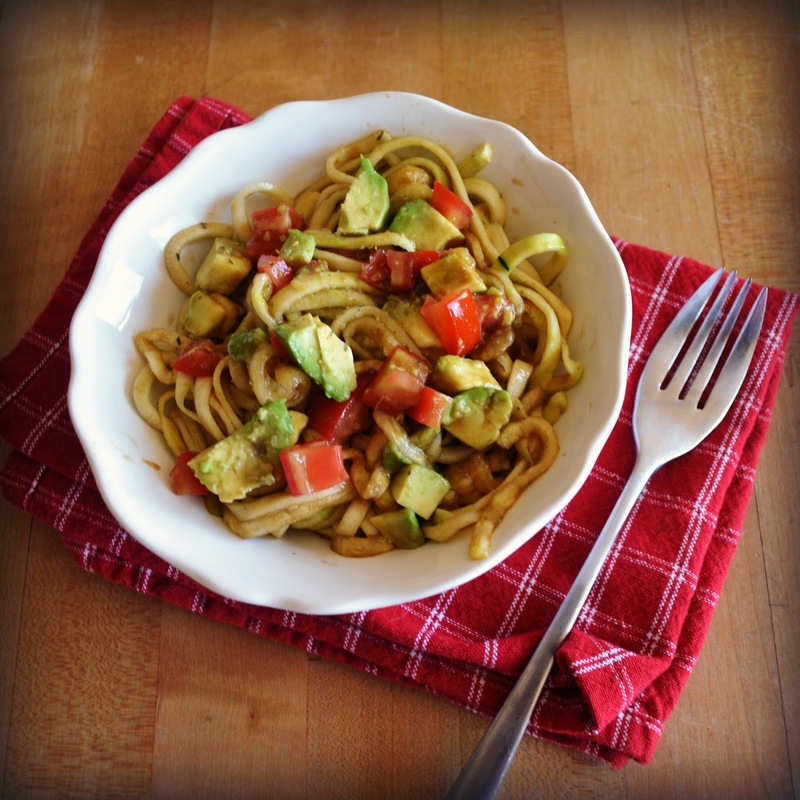 Dice you Tomato and Avocado, add them to the zucchini noodles. Add balsamic and toss to coat. Season with garlic salt to your liking. Serve cold.